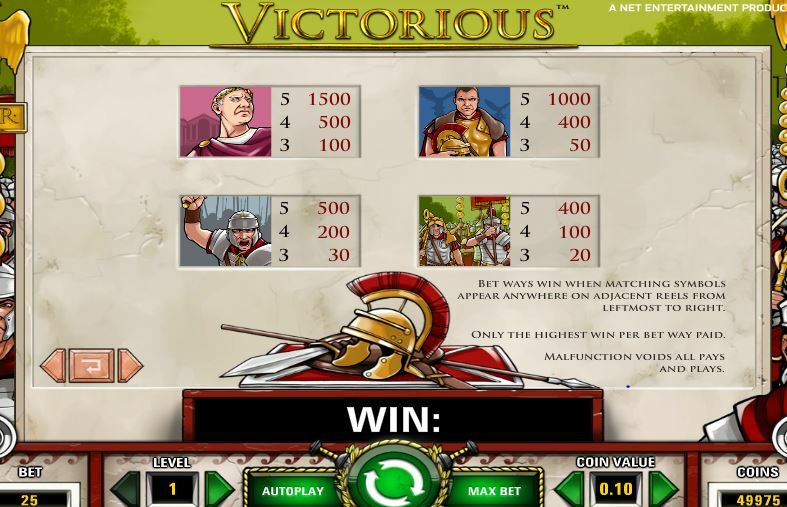 Victorious slot has a theme based upon Roman gladiatorial prowess and is a Netent 243 way game. 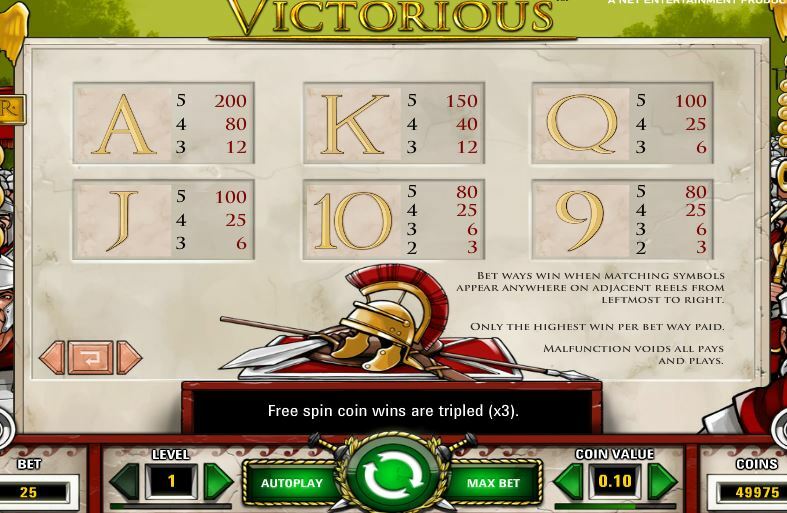 Unlike it’s Netent clone Ghost Pirates slot it cannot be played at 3, 9, 27 or 81 ways should you have a smaller budget than the 25 coins for the maximum ways – you must play all ways. 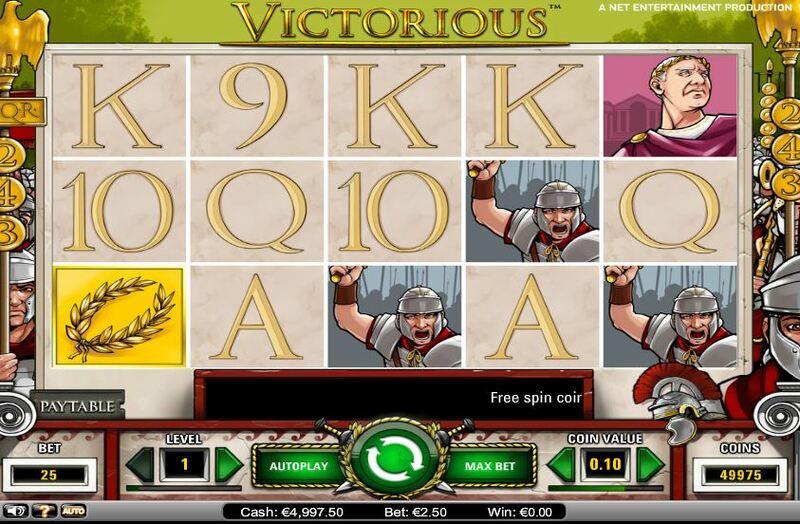 There are quite large wins possible when you hit the best 5-of-a-kinds though! 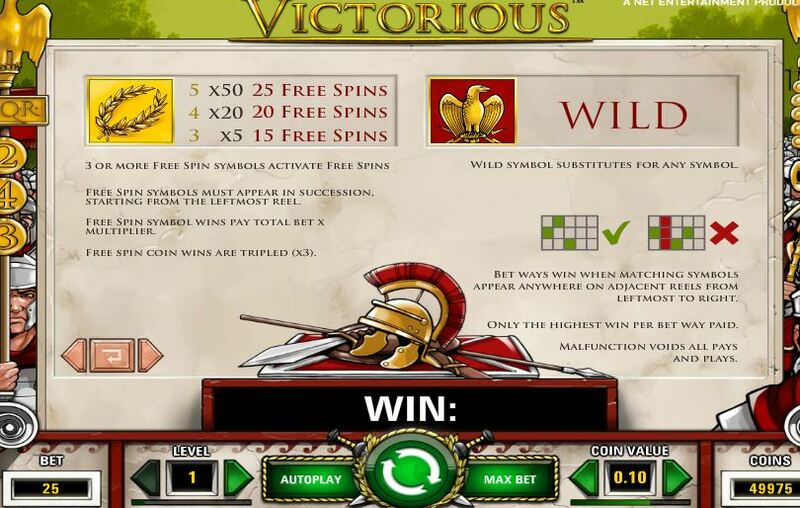 Wilds appear singly with no multiplier and you can earn 15 free spins when you hit 3 golden Wheat ears in succession starting reel 1. You can retrigger them and all wins pay triple. RTP is 96.90%.